Since when Reliance Jio announced the ‘preview offer’ where user gets unlimited 4G for 90 days, many telecom companies like Airtel, Aircel have been frightened. To keep a hold on their old customers they are now smashing the data plan charges like a crazy. Just before few days, Aircel announced a new data pack for Karnataka users which gives them 5GB 3G at just 298 Rs recharge. You can read more information about this offer here. Past week, to give a tough competition to Reliance jio net packs, Airtel launched another new offer which lets you get 1 GB 3G data on recharging with just 51 Rs. But there’s a little twist! How to Activate Airtel Mega Saver Pack? Is Airtel mega saver plan applicable for postpaid connection? Both of the mega saver pack looks good as you get 1GB data at as low as 51 Rs. For heavy data users, I will recommend 2nd plan which gives you 5GB data per month by spending only 258 Rs per month. 1] First, check out whether this offer is available with Paytm or Freecharge. You can even use coupon codes listed here for extra discounts. If these plans are not available there, then proceed to next step. 2] Click here to visit official Airtel website. Choose connection type as prepaid & select your state. 4] Click on recharge now & follow the next steps to claim your recharge. Note that, as of now there is no USSD code to activate this plan. Dial USSD *121*2# to check the data left in your account. 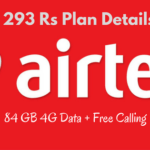 Unfortunately, this Airtel 1498 Rs plan is valid only for prepaid users. 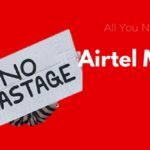 So, you will have to wait until Airtel updates its pack for postpaid subscribers.